Once again I was the host for MLLA for the month of June. 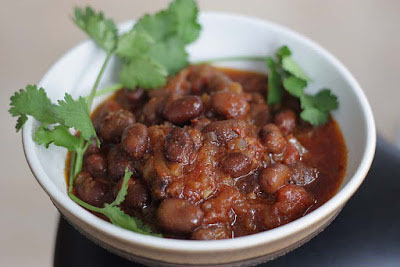 Legumes are an important source of protein for vegetarians and vegans alike. A special thanks to all who took the time to contribute a recipe to inspire other cooks in the kitchen. Thanks to dear Susan of The Well Seasoned Cook for starting this event that has now been passed over to me. And we couldn't do it without all of the guest hosts that help out throughout the year. I'm still looking for guest hosts for 2016 and beyond, so please contact me if you are interested. Let us keep this event going strong. Now it's time to have a look at the mouthwatering creations received this month. from Yummy Indian Kitchen. 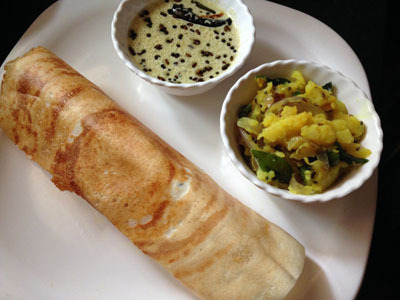 This fine South Indian Dosa is stuffed with a potato masala filling and served with chutney and / sambar. Just my kind of meal. courtesy of Siri of Cooking with Siri. 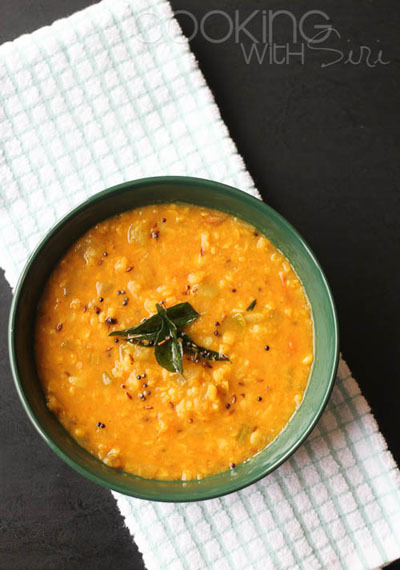 This lovely dish featuring bottle gourd and chana dal includes some of my favorite spices. Easy to prepare and a complete meal when served with rice. is my contribution this month. 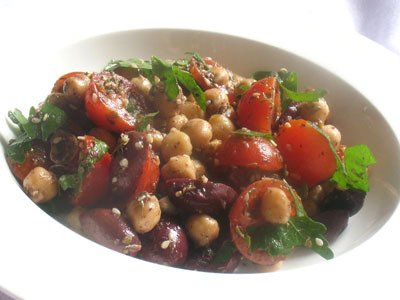 This tangy salad is ideal for summer and features not only buttery soft chickpeas, but olives, tomatoes and some homemade Za'atar. from Janet of The Taste Space. 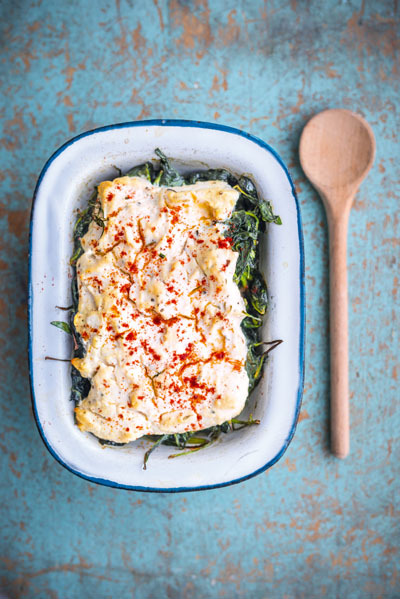 This unique dish features lots and lots of spinach and is topped with a vegan tofu ricotta. Intriguing. via The Veg Hog. 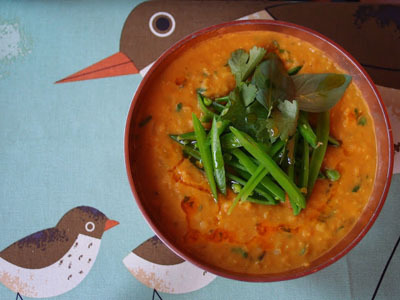 This gorgeous bowl of lentil goodness is made with homemade red curry paste and topped with a chili infused oil and some crunchy snap peas. I never can resist Thai. from Johanna of Green Gourmet Giraffe. 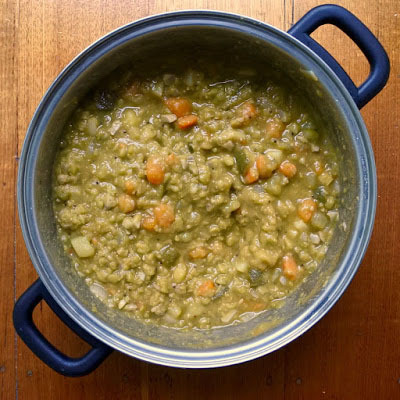 Split pea soup is always warming for colder months, though I would enjoy it even during the summer. Packed full of vegetables with some spice and herbs, this is comfort food indeed. submitted by Shaheen of Allotment 2 Kitchen. Often served with injera bread, this flavorful dish featuring fava beans, tomatoes and spices could easily be eaten just by the spoonful. I'm always interested in learning new dishes. That concludes the June 2016 edition of MLLA. Kalyani of Sizzling Tastebuds is hosting for July. Please check her announcement to participate. Thank you so much for hosting, I hope to join in again. I cook a lot with lentil, legumes and pulses but do forget to share with MLLA. I love the event mostly because its vegetarian and I can eat everything showcased. Yum.